You've reached the beginning of CELC Graduation! CELC Preschool Kicks Off a New Year! 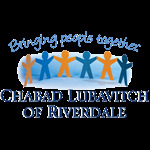 Chabad of Riverdale's Early Learning Center Graduation! CELC Students Prepare for a New Year! CELC Prepares for Yom Kippur! Exciting & Interactive Week at CELC!